This is the painting from one of the most famous Croatian artist of the 20th century. It was made in his last epoch of his creativity and represent The Jesus Christ, son of God . It ws made on wooden board with oil. 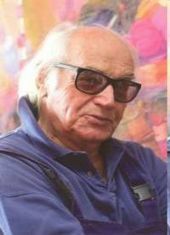 Mile Skracic is one of the greatest and most famous modern Croatian artist of 20th century.